I was asked to give a presentation about management of endometrial cancer for the InaSGO conference in Flores, Indonesia. One of the topics I talked about was the yield from preoperative CT scans. How often do we find extrauterine disease? Initially, I was quite overwhelmed by the task. How am I going to remember the name of the patient who had a renal cell cancer that was found incidentally? Who was the patient with the enlarged nodes that turned out to be positive at histopathology? 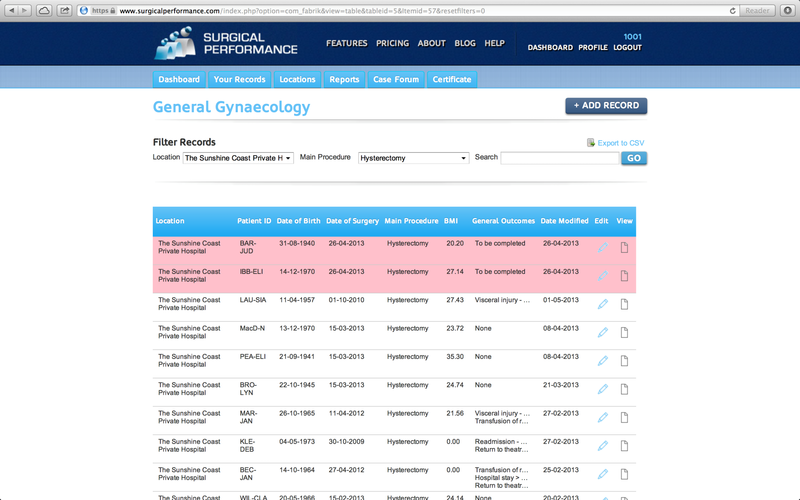 I went to SurgicalPerformance and downloaded the patient information for all my endometrial cancer patients. And here the info was. I was able to identify the patient, went back to her Genie file and downloaded the CT scan that IO was then able to present to my audience.